A riveting memoir from the Navy doctor praised as "Hero, M.D." on the cover of Newsweek. Cdr. Richard Jadick's story is one of the most extraordinary to come out of the war in Iraq. At thirty-eight, the last place the Navy doctor was expected to be was on the front lines. He was too old to be called up, but not too old to volunteer. 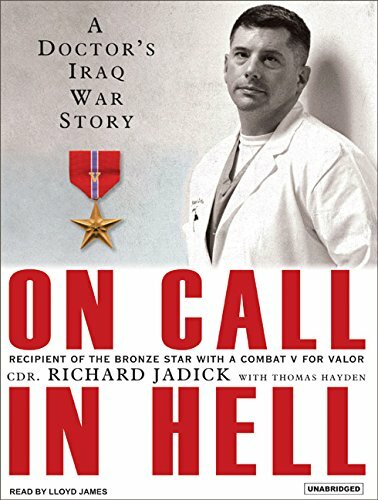 In November 2004, with the military reeling from an acute doctor shortage, Jadick chose to accompany the First Battalion, Eighth Marine Regiment (the "1/8") to Iraq. During the Battle of Fallujah, Jadick and his team worked tirelessly and courageously around the clock to save their troops in the worst street fighting Americans had faced since Vietnam. It is estimated that without Jadick at the front, the Marines would have lost an additional thirty men. Of the hundreds of men he treated, only one died after reaching a hospital. This is the inspiring story of his decision to enter into the fray, a fascinating glimpse into wartime triage, and a compelling account of courage under fire. If you have any questions about this product by Brand: Tantor Media, contact us by completing and submitting the form below. If you are looking for a specif part number, please include it with your message.